In 2016 John Pastoriza Piñol was invited to participate in the Transylvania Florilegium, created under the umbrella of H.R.H Prince of Wales’s Foundation Romania to record in a permanent way the unique flora of Transylvania. He completed 3 works in total which will appear in both Volume 1 and Volume 2 of this publication. Published to coincide with Romania’s centennial anniversary The Transylvania Florilegium is a celebration of the wild flowers growing around Viscri in The Saxon Villages and the more remote Zalanpatak, as well as a valuable record of the rare flora of Transylvania. This area of Romania is famous for the richness and diversity of its plant life but is also under threat from changes in farming practice that could see the landscape changed forever, with the loss of many of these beautiful and rare plants. Using the talents of thirty‐six of the finest contemporary artists from all over the world, the two‐volume edition contains paintings of 124 plants from a list compiled by the botanist Dr John Akeroyd FLS, an authority on European plants who has been working on Transylvanian flora for over fifteen years. Volume I will be published on 3rd July 2018 and Volume II will follow in 2019 (pre‐pub price £10,950, full price £12,950 for the two volumes). The project has taken seven years to complete with groups of eight artists visiting the region for a two‐week period each year for five years. 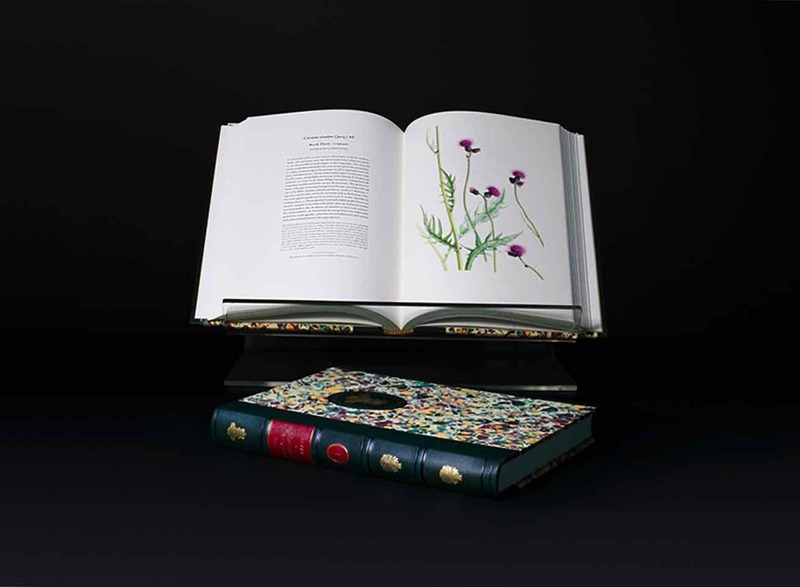 Royalties from the sale of the florilegium will be donated to The Prince of Wales's Charitable Foundation which was set up by His Royal Highness in 1979 and now features The Prince of Wales's Foundation Romania among its subsidiaries. An exhibition of the original watercolour paintings and a display of some of the featured plants will held at the Romanian Cultural Institute in Belgrave Square from 21st May until 12th June 2018.